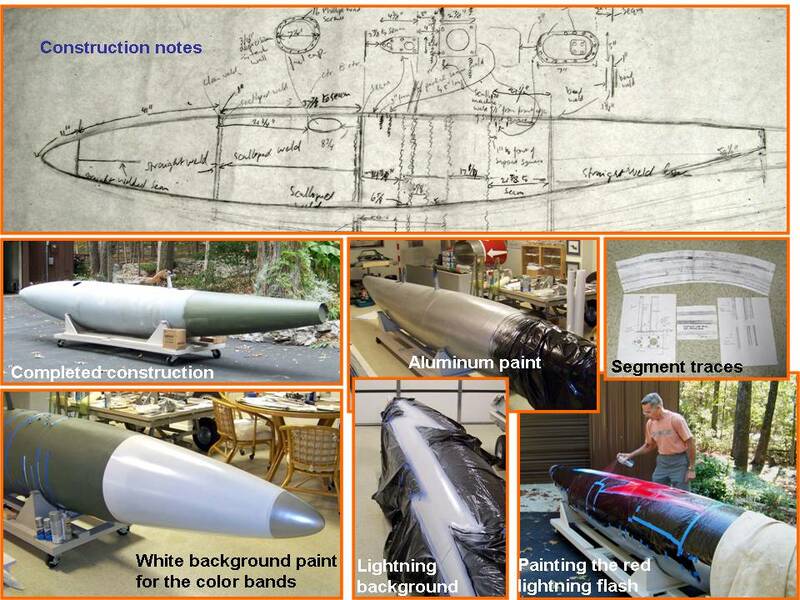 Combining the pictures with the many paper tracings I had made, the 275-gallon tank portion of the F-100 project was ready to go. 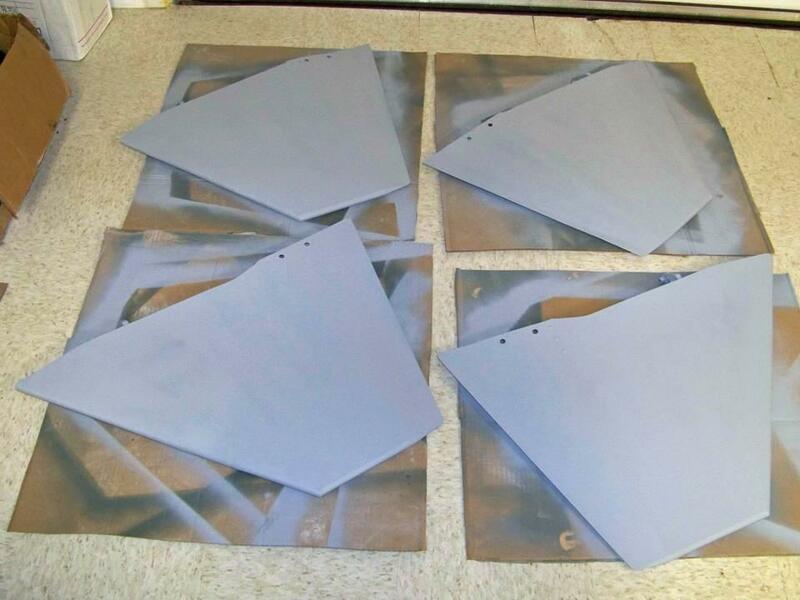 Since we believed the tank fins to be the easiest place to start, I began by enhancing the tank fin tracings. 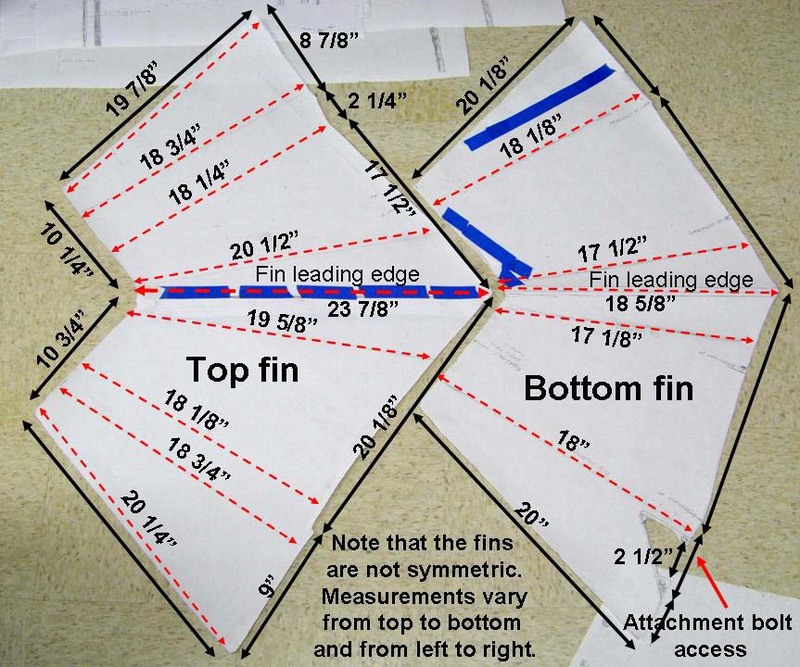 Figure 1, cell 01, shows the unfolded tracings of both top and bottom fins. (Note that the top and bottom fins are slightly different in size and shape.) 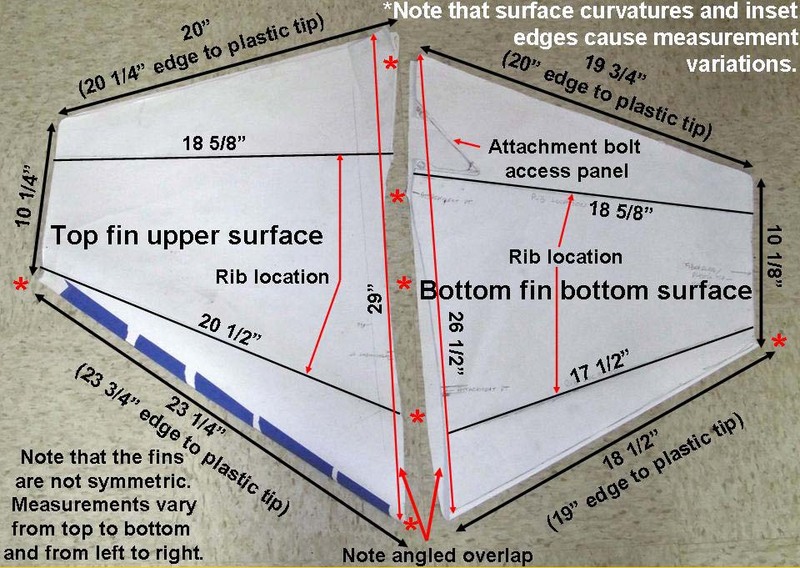 Cell 02 shows the same tracings folded to show the fins as you would see them on the tank. 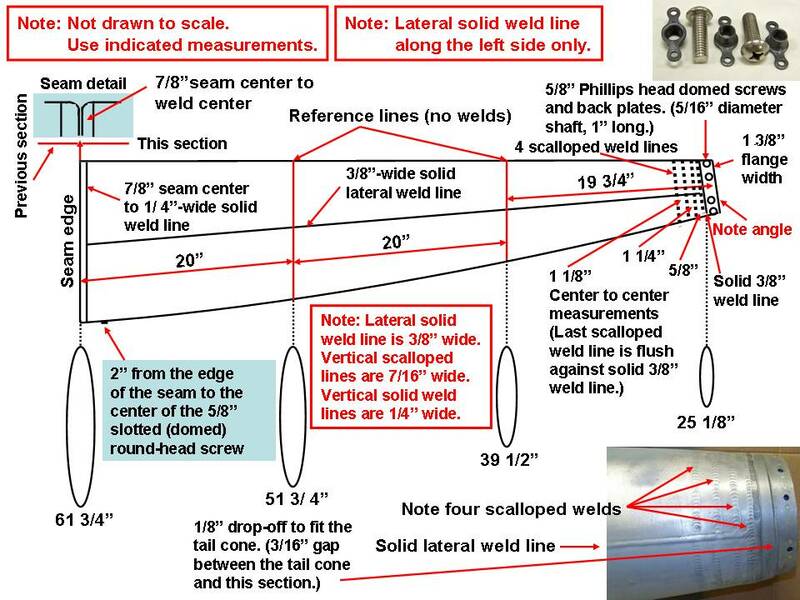 Cell 03 shows Steve welding a fin that conforms to the tracings. 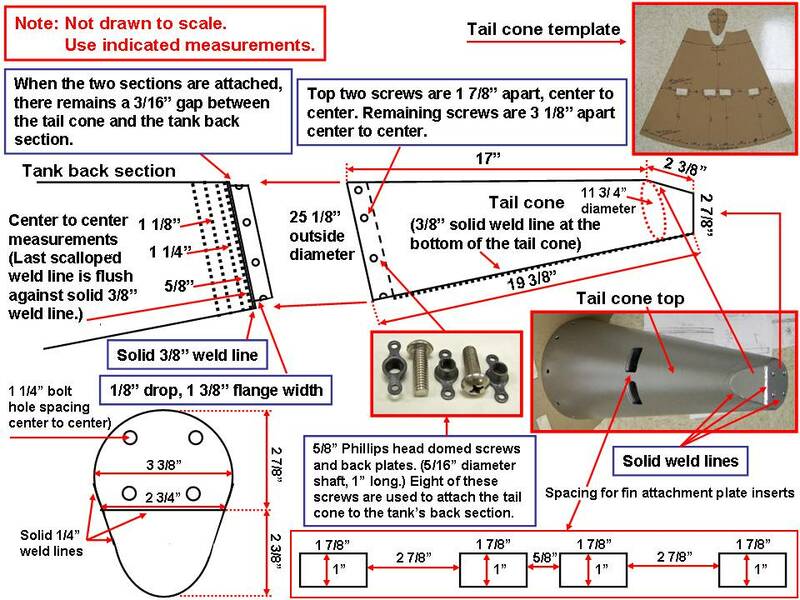 Those big screws that fasten the tail cone to the tank are called PK screws. (See Figure 2, cell 02, lower left-hand panel.) I don't know what "PK" stands for, but that's what our tin benders in ‘Nam said they were called. We would use them on the tanks when they got bullet holes in them, take a piece of rubber and one of those screws and you were good to go as long as the pilot remembered to not pressurize the tanks before end of runway check. If the crew at the end of the runway saw a leak, they would send the aircraft back to the ramp and you would miss out on a mission. The wing tanks empty first; then the wing tanks. Everything feeds to the fuselage tank in the center box. 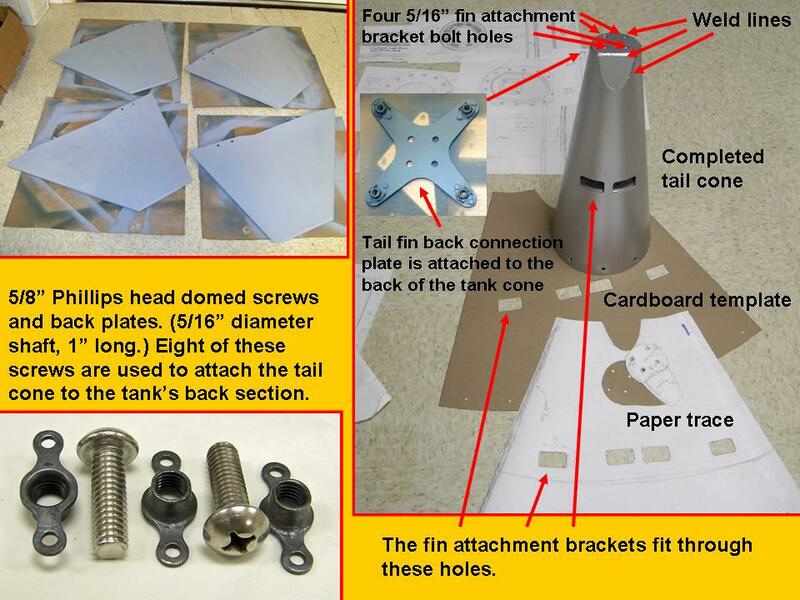 Incidentally, the composite picture in Figure 2, cell 03 shows several views of the tank fins attached to the tank cone, plus a view of some fin attachment back plates. 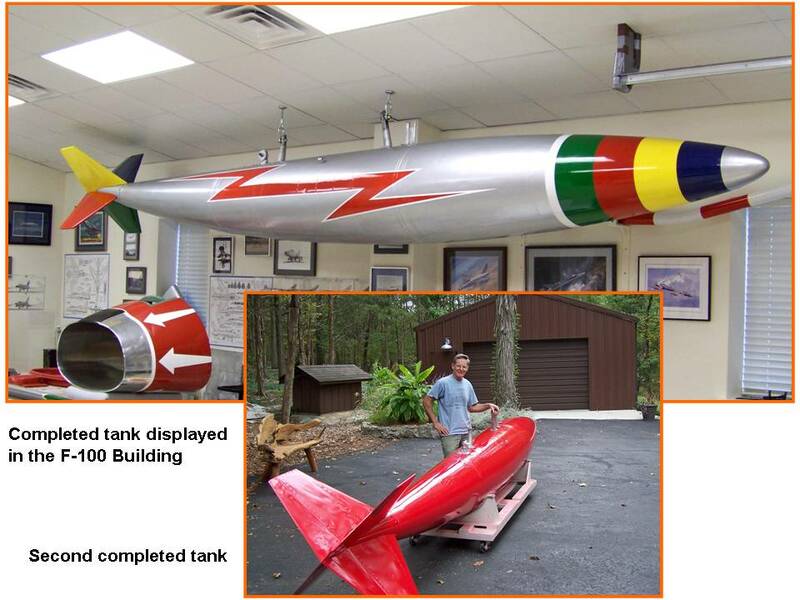 The lower right-hand corner shows a picture of a 1/48-scale model I built and painted in the colors of 56-3189, 309 FBS, 31 FBW, based at George AFB in 1958. This aircraft was flown by Capt. Walt Bruce during the 1958 TAC gun meet. 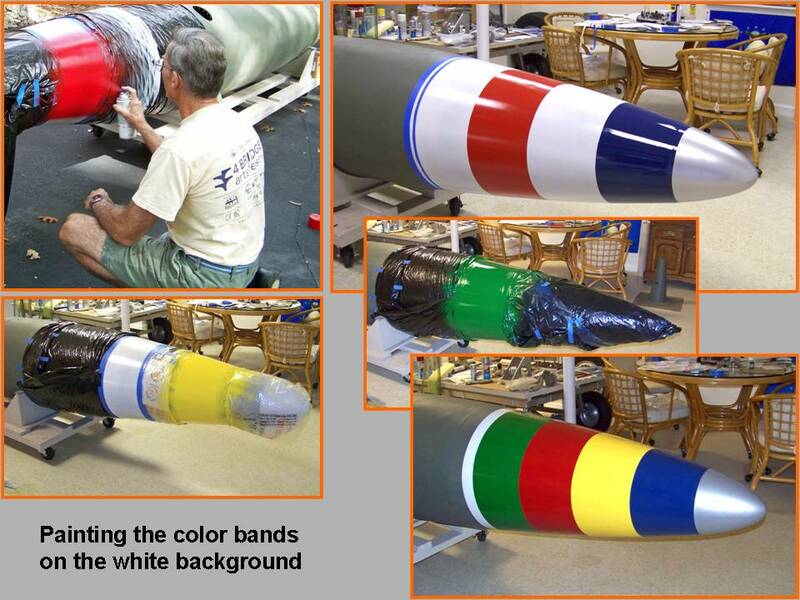 The brightly-painted 275-gallon tanks on 56-3189 became the painting guide for the paint job you will see documented on this web page. 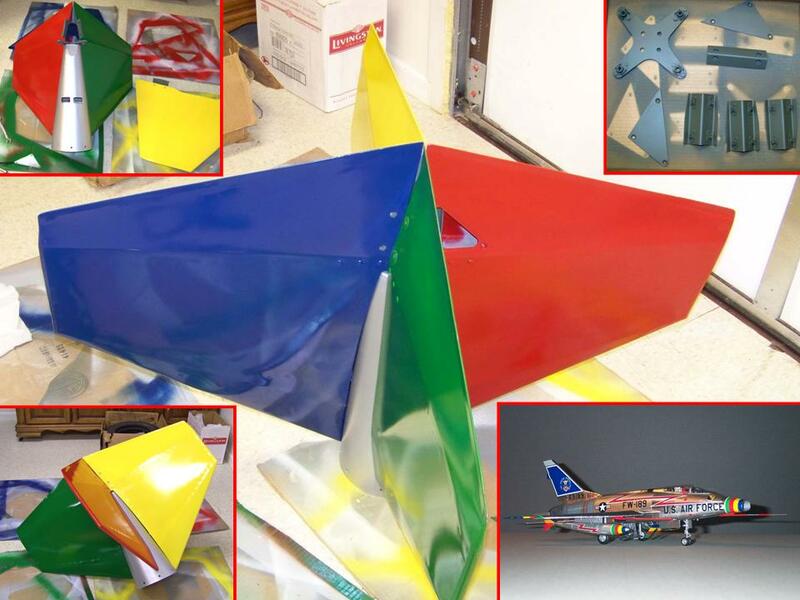 The completion of the tank fins and cone -- a task that consumed four months -- let us switch our attention to the tank itself. To document the work, I transformed the many tracings to a set of work drawings. Figure 3, cell 01, shows a small portion of the collection of tracings. 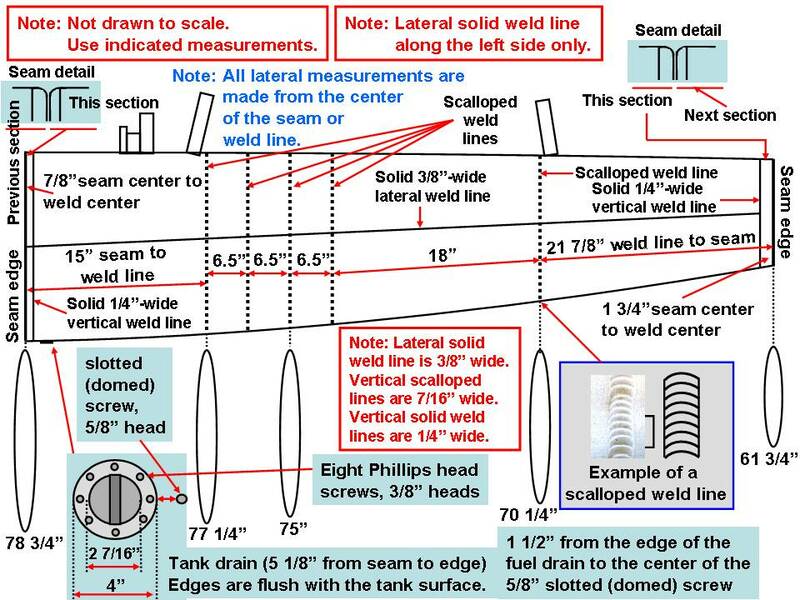 (Note that the left middle panel shows a large sketch of the complete tank.) Cells 02 and 03 show the transformation of the tracings into the work drawings that became the basis for the tank templates. 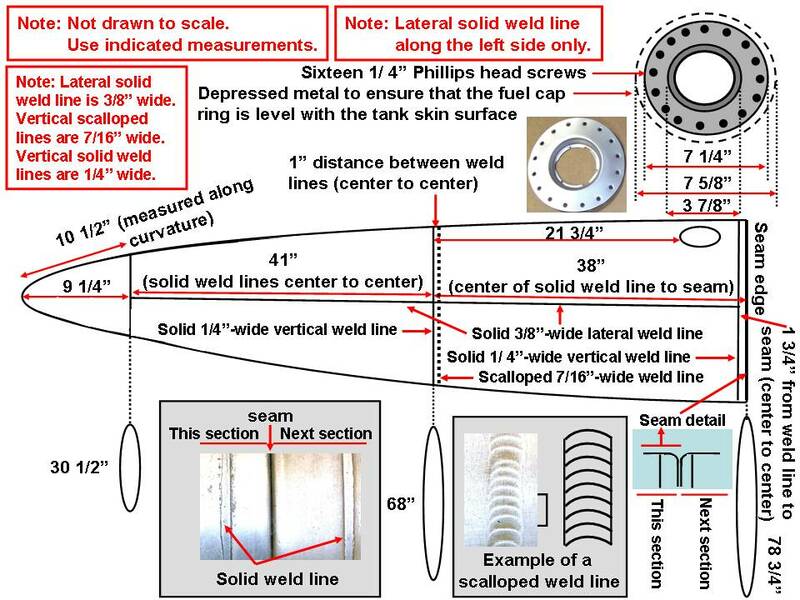 Figure 4 continues the documentation of the tank building process. Cells 01 and 02 show the last two drawings of the tank body components. 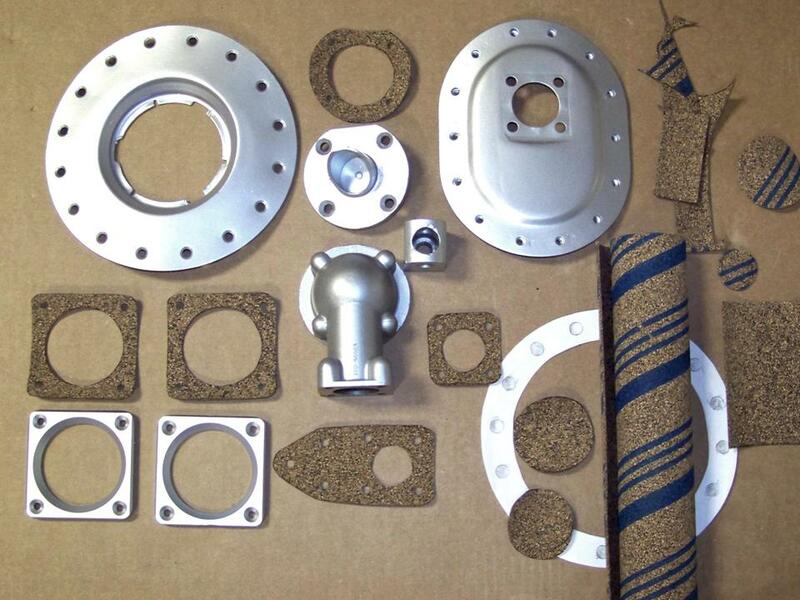 Cell 03 shows a few of the tank accessories. The rounded vent outlet in the center of the composite picture in cell 03 is the product of "lost wax" casting. 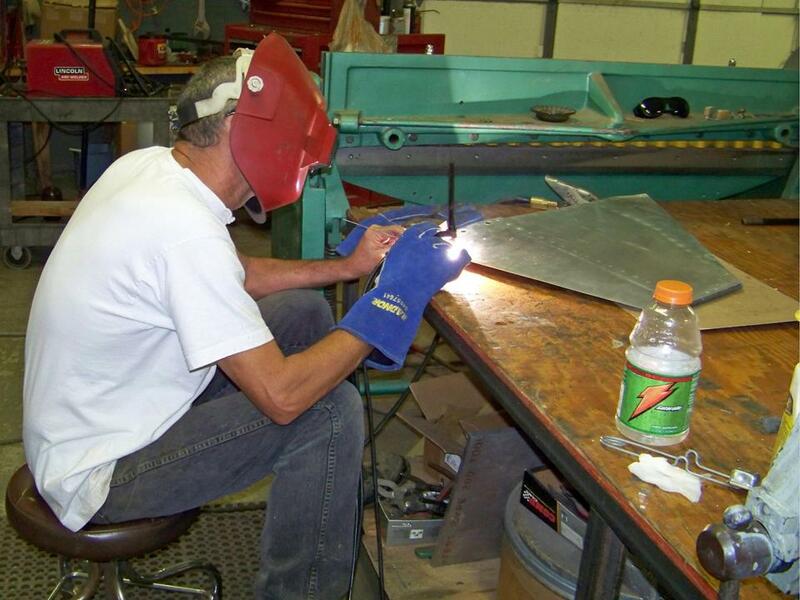 Working on the two 275-gallon tanks consumed an enormous amount of time, but it also provided a really good preparation for the major fuselage work. 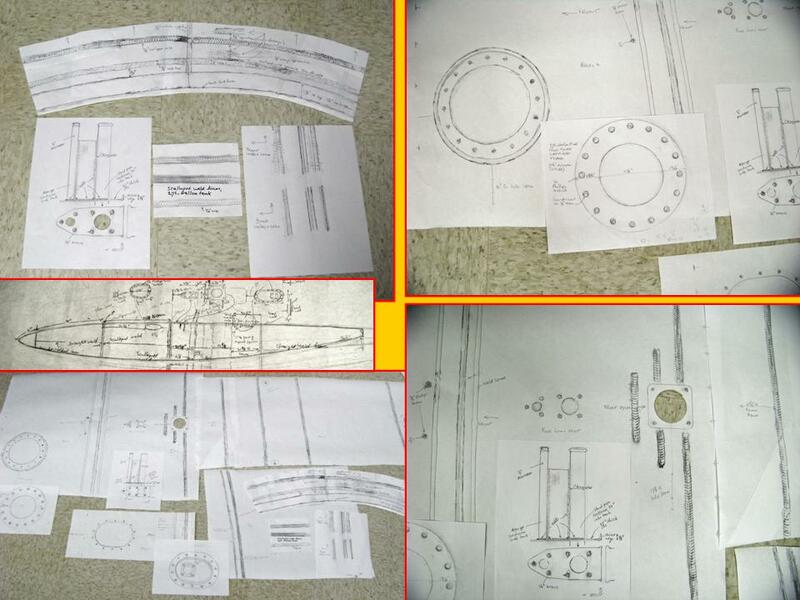 In retrospect, it would have been a lot simpler -- and cheaper -- to take the detailed drawings and the few salvaged scrap pieces to a good boat yard that builds metal pontoon boats. Never mind the second thoughts ... working on the 275-gallon tanks was never boring and it sure kept me off the street and out of trouble!